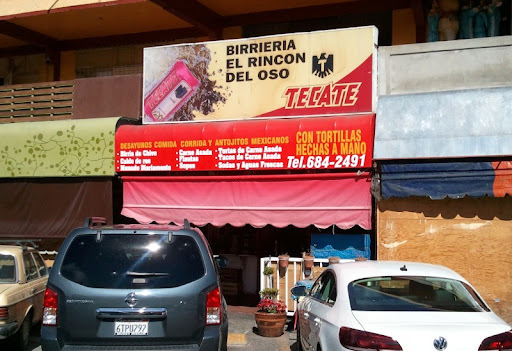 We went down to Tijuana last Sunday to revisit Mercado Hidalgo and have lunch at Birrieria El Rincón del Oso ("The Bear's Corner"). 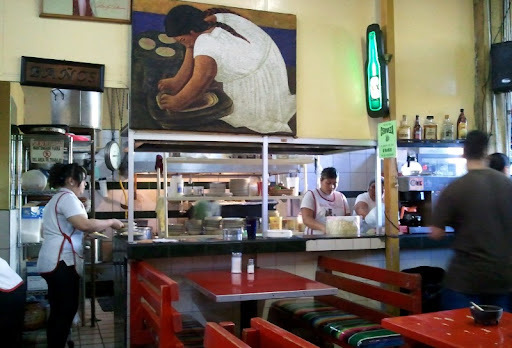 As you might expect from its name, this place specializes in birria - more specifically, birria de chivo (stewed goat). The Sunday menu is more limited than what they offer during the week, but fortunately they were serving up the dishes we were after. The meat was soft and succulent, and the broth was rich with a complex mixture of flavors. 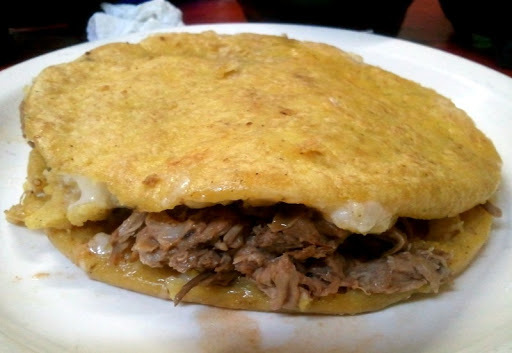 It came with a big stack of warm corn tortillas for dipping and rolling your own tacos. The masa shell was nicely puffy and crispy from frying. 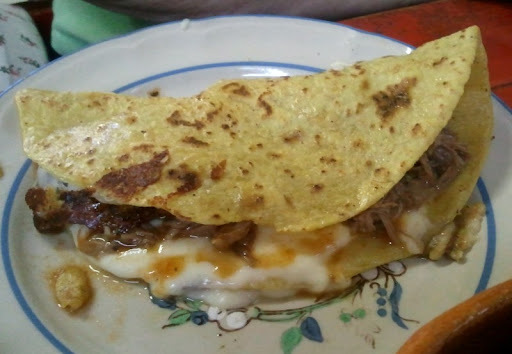 The birria meat inside was good, but a bit subdued. 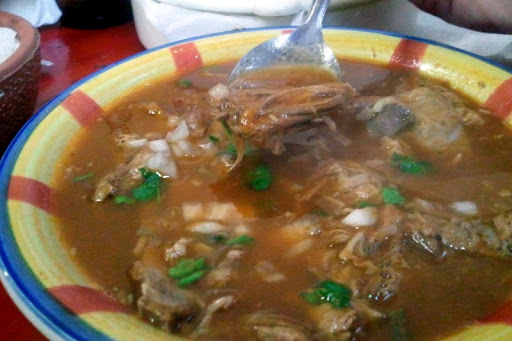 Spooning in a bit of broth from our bowl of birria livened it up considerably. The place had a warm and friendly feel - some tables filled with families on a Sunday outing, another occupied by a police officer downing a massive plate of food. Our waiter was very nice, and even though his rapid speech challenged my rudimentary Spanish we managed to interact without too much trouble.